Borka has performed at some of the top venues in the Los Angeles area, danced on stages throughout the United States and Europe, and appeared on film and television. 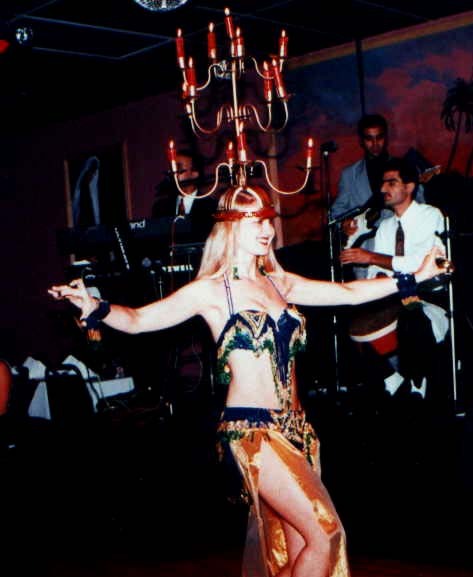 She is proficient in all styles of Middle Eastern dance. Her specialties include the candelabra, sword, cane, veil and zills. She possesses a passion for the authenticity of the dance form to which she adds her own elegance and charm. Her love for ethnic dance led her to the study of many other dance forms including Spanish, Swiss, Mexican and her native Balkan dances. Borka is also an accomplished Polynesian dancer - performing the native dances from Hawaii, Tahiti and New Zealand. Borka is available for weddings, corporate and family parties.